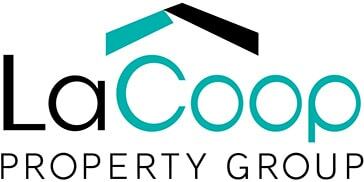 When it comes to selling your property, LaCoop Property Group are strong and experienced negotiators with a proven track record for gaining the maximum sales value for their clients. As fully licensed real estate agents we are dedicated to presenting your property in the best possible light, professionally marketing your property, delivering outstanding client service and utilising superior sales skills to reach the best possible outcome. From simple studio apartments to multi-million-dollar homes, we guarantee to have your open home within the first week of advertising. We will access our database of buyers looking for astute investments in South-East Queensland and utilise the latest marketing techniques to get the best return on your property. We offer a competitive commission rate, so partner with us now to make sure your next sale is an easy and enjoyable process. Since 2015, LaCoop Property Group have been assisting local and interstate buyers with honest and proven property advice. With a reputation for excellent customer service and delivering high-quality results, the directors of the company are hands-on in the business and treat every investment decision as if it were their own. From first-time investors looking to get the most out of every investment dollar to astute investors developing a large rental portfolio, our aim is to remove the stress of your property purchase decisions and maximise the returns. We will work with you every step of the way in the process of purchasing an investment property in South East Queensland and with property investment advice. This will include assessing your current financial position, considering the available options and following every lead to identify the best property for your purchase consideration. At LaCoop Property Group, we take great pride in helping our clients create and build their own investment property portfolios. We are ready to share our expertise in real estate and the local property market with you!